If you have ever battled with depression or know of anyone who does. You know the tremendous toll that it can take on the body and the mind. Depression affects more than 300+ million people across the globe. It can strike at anytime without warning. Leaving individuals feeling empty, unmotivated and absolutely miserable about life. To counter these byproducts of depression and other forms of mental illness. People are prescribed drugs or therapy. Often times they use a combination of the two. But what else could you do? Have you ever thought about dance fitness? Exercise is a great way to counter depression. Reason being is that exercise raises the levels of both dopamine (the neurotransmitter associated with pleasure and reward) and euphoria-inducing endorphins. You also know that when dealing with depression how hard it is to get motivated to even attempt to workout. One of the ways that some people have found to get into working out is via our M. Nicholson Hip Hop Fitness program. Reason being that in our dance fitness program. You don’t have to worry about the obstacles of tracking your workout, figuring out how to workout or who to workout with. All you have to do is be present and move and your instructor and the people within the program will help you out with the rest. 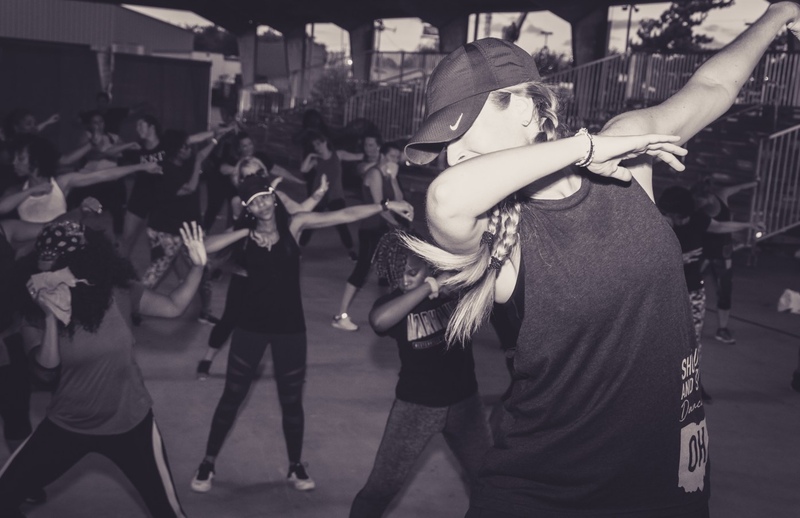 The other aspect of our hip-hop fitness classes is the music. There is a such thing as music therapy that some people undergo to help with mental illness. Music has been known to allow people to refocus on it versus their mental state. It has been known to induce a trance like state in which the listener enters into a sort of meditative zone. So within our dance fitness program we have plenty of that for you. This allows you to not to be distracted by you depressive episode. Community is another aspect in which our M. Nicholson Hip Hop Fitness program possesses. Now some may think that during times of depression that the last thing that you would want to do is be around a lot of people. When in fact, the best thing is to be around group of genuinely caring people. The reason why individuals dealing with mental illness don’t like being around a lot of people is because they don’t want to have to deal with the possible awkwardness of small talk and possibly making their mental state even worse. With us you don’t have to worry about that. All you have to do is show up and enjoy the energy. Your reward center of the brain will love improvement aspect of our classes. Whenever you are doing something be it a task, learning a skill or craft and you either make improvements or master it. You become impressed with yourself.